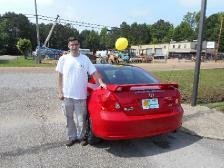 Randy is our owner/operator and has been in the car business all his life. He opened Friendly Auto Sales 19 years ago. 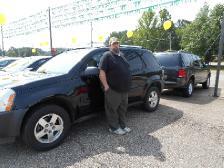 Kenny is our salesman and has been with us for 7 years. He has been in the car business for 23 years. 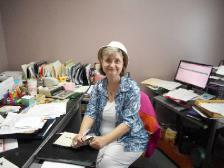 Judy is our office manager and has been with the company for 16 years. She has been in the car business for 39 years. CYNTHIA IS OUR ACCOUNTS MANAGER&SOCIAL MEDIA GURU. SHE HAS BEEN WITH THE COMPANY GOING ON 8 YEARS! JENNIFER HAS BEEN WITH OUR COMPANY FOR ALMOST 2 YEARS. SHE IS OUR CUSTOMER SERVICE REPRESENTATIVE AND OUR INSURANCE AGENT! Jason is our Automotive Technician and has been with the company 8 years. He has 18 years experience. EDDIE IS OUR MOTOR/TRANSMISSION MECHANIC. HE HAS BEEN WITH US FOR 5 years NOW & HAS BEEN A MECHANIC FOR AT LEAST 42 YEARS. HE STARTED AT MAZDA IN 1990. HE IS A CERTIFIED MECHANIC.